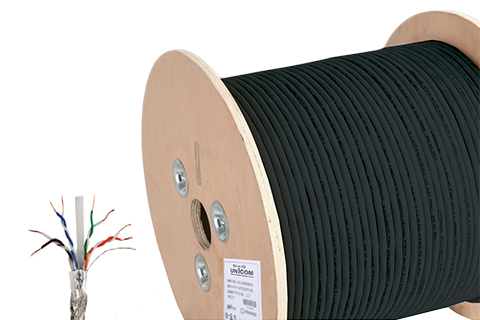 UNICOM’s CABO6 cable comes with a black polyethylene (PE) outer sheath, which makes it suitable for outdoor use. The cable is suitable for use in Duct & Riser but not for direct burial. It is water proof & has a black sunlight resistant jacket. With guaranteed performance that meets Category 6 cable requirements, UNICOM CABO6 allows for simplified electronics leading to cost efficiencies in network investment. The CABO6 solution provides a high speed, high-performance cable system infrastructure with warranty assurance for advanced applications demanding more bandwidth.